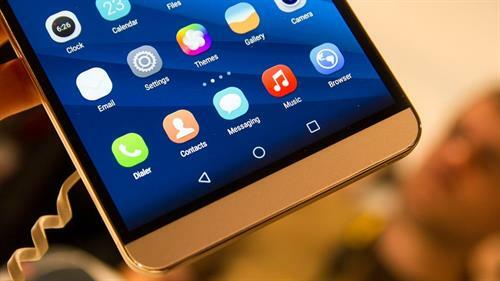 Huawei's newest mid-range smartphone Honor 7 is packed with a luxurious look and feel. 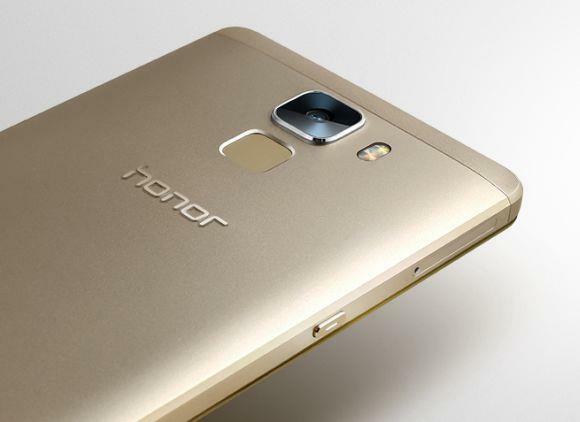 Today in this article you will find the complete review of Huawei Honor 7. Is the phone worth buying or should you go for some high-end smartphones? 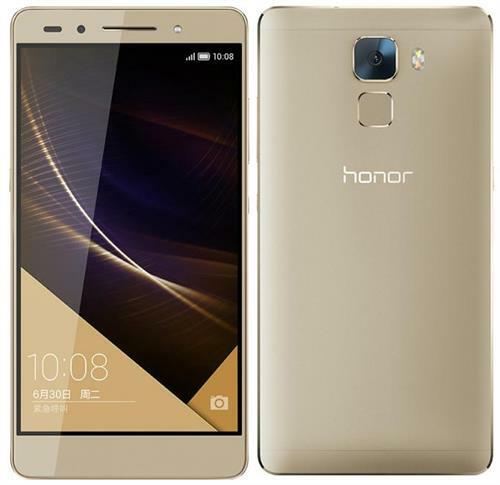 Read this review of Huawei Honor 7 to find more about the device. This year Huawei took a huge step in the design department for their newest addition to the Honor lineup with a ceramic coated single metallic body. This phone feels a lot more premium than the last year's Honor 6. Honor 7 had improved a lot in various sections such as the display, battery and even some most important add up features that help it in competing with other smartphones that are in the top notch position in the Android market lineup. Let's see what Huawei has offered to Honor 7 when compared to the last year's Huawei's Honor 6. There is nothing that feels cheap in the design section of Honor 7. Unlike most smartphone manufacturers like Samsung, Huawei is really on to making phones with more premium look than having high-end specs packed within plastic cases. The phone is made of durable metallic backing that not only looks great but also feels great in your hands. On the front the display glass is surrounded by metal edges along with pretty small vessels. Above the 5.2-inch impressive display screen there is an 8MP front-facing camera along with ear piece which also holds LED notification light inside. There is also a front-facing LED flash along the other side of the speaker grill. Over the rear side Honor 7 offers a similar design to something like the HTC One M9 and there it houses a 20MP rear-facing camera along with a dual LED flash. Just below the camera there is a fingerprint scanner, the position is quite convenient as anyone can easily reach it by their index finger. However you will have to revert to a pin code to unlock the device when the phone is sitting on the desk. You don't need to be worried, since the pin pad is instantly accessible when turning on the screen. The top of the phone has a headphone jack and IR blaster, the bottom holds micro USB charging port and on either sides of the port, there are two speaker grills. The volume buttons are located on the right side of the phone along with the power button that has a textured pattern to it. The buttons are very responsive and easy to press. Over the left side of the phone, there is a SIM card tray along with a microSD card slot. Below the tray there is a button which can be used to perform various actions like launching different apps directly or to trigger few actions. This button can be configured up to three different shortcuts by either clicking the button once, twice or holding for few seconds. This added features makes the multitasking more easier and faster in Honor 7. The phone comes in 3 colors; in white, black and even in the golden metallic case. 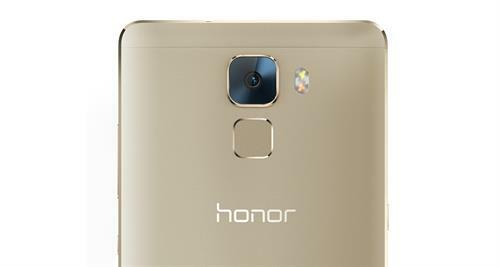 Huawei Honor 7 is equipped with an impressive 5.2-inch HD IPS LCD display delivering 72.4% screen-to-body ratio. The screen resolution offered by this phone is 1080 x 1920 pixels, which gives a perfect video experience with 424 ppi. Honor 7 is thus capable of producing crisp and clear text along with very vibrant colors. The screen can get very bright, thus reducing the issue with viewing angles that most smartphone out there are facing. The screen also can be easily turned on with the tap to wake feature, which will reduce your effort in reaching for the power key. Overall the display is a great one and it won't disappoint you. Honor 7 comes with an octa-core Cortex A53 processor powered by HiSilicon Kirin 935 chipset, delivering a fabulous clock speed upto 2.2 GHz. In terms of graphics, Mali- T628 MP4 is powered as the GPU. But when you move up to gaming, the GPU doesn't do a great job of keeping up to the mark on more advanced graphical games, however, simple games like Candy Crush shouldn't be a problem. Honor 7 delivers 3GB of RAM for a smooth operation and lag free multitasking. The hardware does a pretty good job of making everything run very smooth. Very few times it will slow down or take a second to load something. While the storage facility that Honor 7 offers varies with two models, one with 16GB and another with 64GB. Unfortunately the company hadn't released a 32GB variant, so if 16GB feels to be less, then you will have no other option than to go straight up towards 64GB model. As we already had gone through a glimpse of Fingerprint scanner in the design section, there is few features that have to be mentioned. The fingerprint scanner at the rear is more than just a security measure. It even supports swipe gestures like sliding down brings up the notification panel, sliding up will show your recent apps and there is much more like single tapping, double tapping etc. In any case if you feel irritated, then there is option to disable the gesture support for your fingerprint scanner. The speaker is enough loud that you can hear very well in a quiet room, but beyond that you will have trouble hearing in public. Unlike many mid-range Android flagships that comes with no NFC support, Honor 7 is packed with NFC support along with other typical connectivity such as Bluetooth 4.0, A-GPS, Wi-Fi and more. While talking about the battery, Honor 7 comes with a non-removable Li-Po 3100 mAh battery. On a typical day of watching a few videos, taking a few pictures, responding to lot of texts and having some long internet browsing sessions, it will last around 5 to 6 hours of screen on time. Moreover, Honor 7 is also capable of quick charging, which Huawei claims that in just 30 minutes can charge a phone from 0 to 50% and a 5 minute charge can powerup the device for one hour of phone call. The Honor 7 is running Android 5.0.2 right out of the box along with the Huawei skin, the Emotion UI 3.1. This UI is great at times where it will allow you to take advantages of the shortcuts that are filled within. These shortcuts and features will help the users navigate around the phone a lot quicker. Besides the ability of fingerprint scanner's shortcuts, you can use your knuckle to take screenshot by double tapping or even drawing areas to crop. Other shortcuts and features of this UI includes tilting the screen to move apps around, reversing the back and recent app button or even adding a fourth button for the notification pull down. However throughout the software, there is no sign of any of Google's material design anywhere. This UI is very sleek with cool background animations, different themes to be chosen and more. Also, the Honor 7 delivers some iOS inspired features like pulling up from bottom on the lock screen to bring up a control center with shortcuts for apps like flashlight, calculator, camera etc. But there is no way to change these shortcuts. Also, swiping down from the middle of the home screen will open an universal app search. There is no app drawer, so this is a phone that you will have to resort to folder making in order to keep it organized. Notification panel in this phone is chopped up into sections, shortcuts and notifications. This way the phone will keep your notifications very organized. Here in Honor 7, the camera is a huge improvement coming from Huawei with a 20 megapixels of rear shooter. This Sony sensor-powered camera allows you to take some really good pictures with F2.0 aperture. As a result, low light shots should be better and you have a nice depth of field effect. Launching the camera is extremely fast and easy by which you could launch the app just by holding the volume down button. The shooter could immediately snap a picture without losing image quality. Pictures have a good amount of detail and in most environment there is not much noise. While talking about the front-facing camera, it is a wide angled 8MP with 2.4 aperture. Here you have a couple of features like beauty mode and even a front facing flash which could be good for adding just a bit of extra light. You can capture less noise, good looking and sharp pictures with this 8MP shooter. If you are a big gamer, the Honor 7 may not be the best choice and also the UI will take some time getting used to. But everyone will really enjoy the display on this phone along with the battery life and an excellent camera. Overall, the Honor 7 is a really good phone which is currently competing among the other mid-range phones that are around the price tag of $400. For that price point there are definitely better phones out there that offers more in some areas when compared to Huawei's Honor 7. 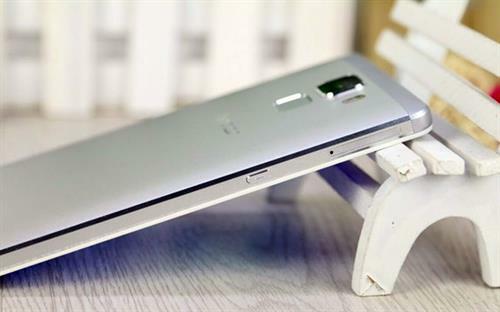 The Honor 7 suffers from some obvious constraints. Yes, it is trying to be innovative - what with the finger print scanner - but it does not work at times, as per the reports appearing in the reviews. It has many promises made, but sadly fails in almost all of them. The saving grace, however, is the outstanding cameras both in front and in the rear. They are capable of some truly great snaps. But do we buy the phones just for the camera?